We are fortunate to have a variety of options for higher education in the Prescott area. Options such as the highly rated Yavapai College, Prescott College, NAU, and Embry Riddle are all in our own backyard. A college education is beneficial in many ways, and the financial and emotional pay-off in the end is nearly priceless. It takes dedication and determination to complete the journey and to go to the next level. This sacrifice is true for all individuals, but the struggle is even more significant for someone who is homeless, in the middle of a life crisis, or someone who is experiencing a financial crisis. Recently at Agape House of Prescott, we have had the joy of coming alongside a special individual. This Prescott resident, we will call her Kelly, got hit a second time from a legal issue that occurred over ten years ago. Sadly, her new employment brought an old court issue to light. Her “record” was over ten years old, and although she has turned from her ways, and paid her dues, life consequences still exist. Kelly was without work for four months. However, Kelly did not let this court issue set her back. Although it took four months for the paperwork to clear, Kelly was determined and persistent. She completed every item that the legal system required and submitted all of the items in a timely fashion. In the meantime, Kelly began looking for alternative employment. 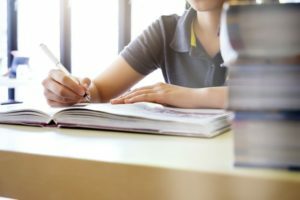 Kelly didn’t stop there, during her unemployment, she took the extra time to take extra classes at Yavapai College while waiting for the legal issues to clear up. Since she was able to spend more time on her school work, Kelly was able to receive all A’s! Be sure to make the most of each situation! The path of a college education was not easy for Kelly, or anyone else, but the rewards at the end of the path are plentiful. We are so proud of the journey Kelly completed. Take a look at the steps she took and the reward she won! Applied for scholarships, WON A SCHOLARSHIP! TWICE! It was a long road for Kelly. It was a journey that was completed with determination and excellence! A huge congratulations to our newest Yavapai College graduate! 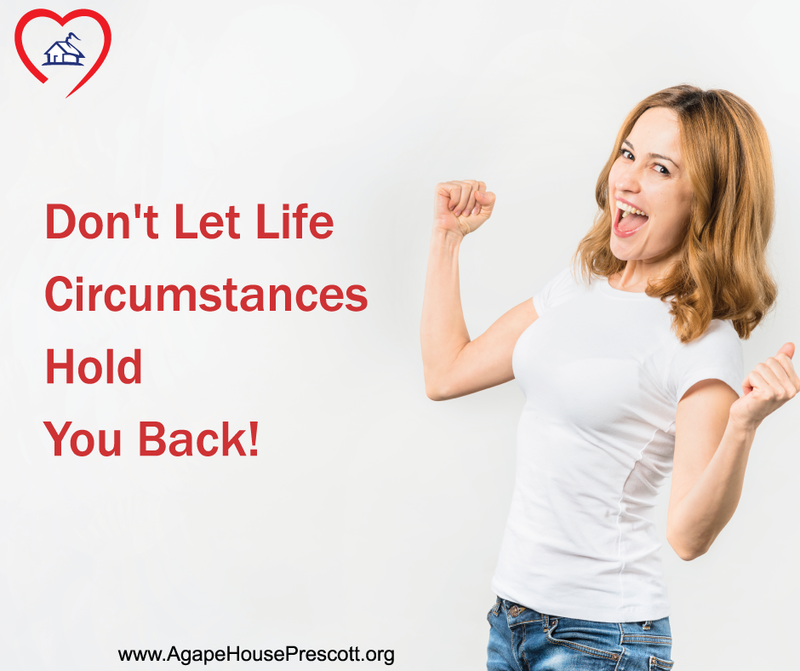 Contact us if you would like more information on what Agape House has been doing in the Prescott area for our families in crisis. We can always use volunteers, financial support, and prayer.